Even though it is a global leader, Netflix will be very much a Johnny-come-lately when it launches its internet based movie and television subscription service in New Zealand next March. Spark launched its internet TV service Lightbox in August, while the leading pay TV operator, Sky Network Television, is about to launch Neon next month. Australian-owned Quickflix has been offering a subscription service for new release movies and TV shows on a pay-per-view basis since March 2012. Quickflix New Zealand managing director Paddy Buckley said Quickflix had nearly 100,000 devices registered for the service, including smart TVs, computers, game consoles and tablets, but he did not think internet based services would threaten Sky TV's dominance for at least a few more years. He said streaming services overseas were generally complementary to existing pay TV offerings. 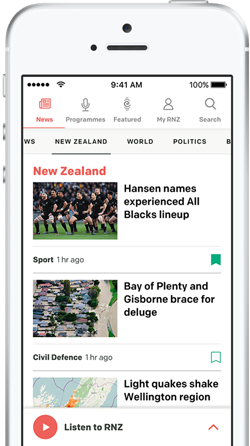 The New Zealand market was slightly different to others, in that rugby was a huge factor, with about 50 percent of households having pay TV subscriptions. "I think there are some subtleties and nuances around the New Zealand market but it remains to be seen what will happen once the public gets a real taste for these streaming services," he said. In a Comscore survey, 42 percent of adults in the United States reported subscribing to at least one online streaming service last month. Telecom is taking on Sky Television in the online TV market, launching a streaming service named 'Lightbox' in the next few weeks. It is spending $20 million on the service. The world's leading internet-based movie and television subscription service, Netflix, has announced it will launch in Australia and New Zealand in March next year. Video streaming service Netflix added about 4 million new customers world-wide in the three months ended March and streaming sales topped $US1 billion. 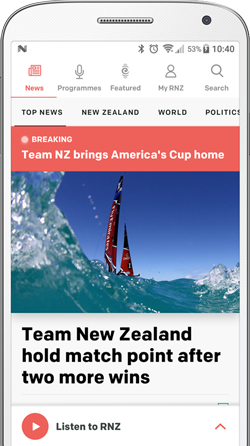 New Zealand's slow internet speeds could dampen the take-up of high-speed video content and gaming on mobile phones and tablets which is predicted to rise exponentially around the world this year.